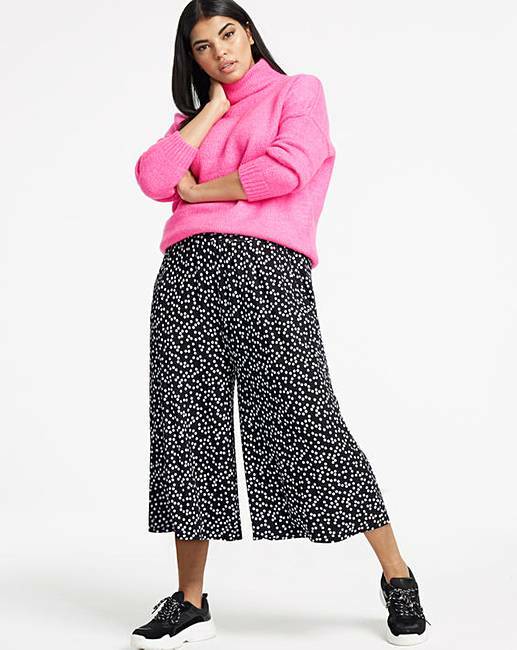 Spot Stretch Jersey Culottes is rated 5.0 out of 5 by 3. 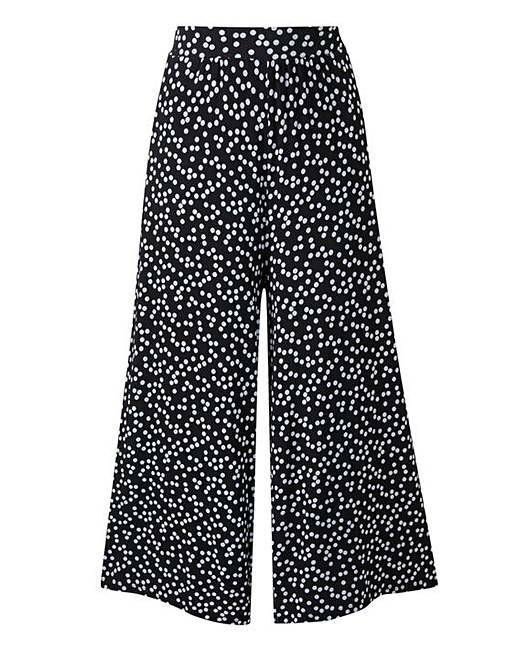 Flattering stretch jersey fabric in a mono spot print. Two front slant pockets. Easy-to-wear pull-on style. Rated 5 out of 5 by Babsyb50 from Lovely and comfortable If you wear these for work or play they are very comfortable and well worth the money. Rated 5 out of 5 by Minxz from Comfy & smart! I bought these, a size smaller than usual as others were out of stock. I’m glad I did! 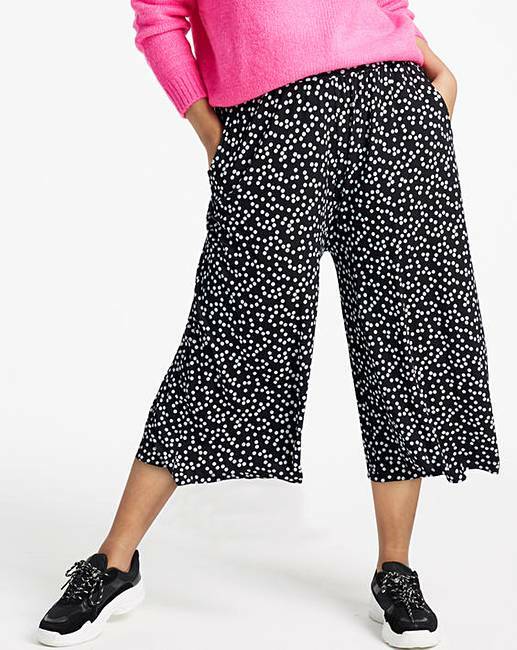 Perfect size, lovely drapey legs & super comfy. Silky type jersey, I’m going to use them for work or wear with a strappy top in summer. Have now ordered the floral ones, wish they did a stripe version too!